That feeling when a significant challenge is closing in. Not quite there yet, but the final countdown is on. And starting to take over, a bit. A mixture of apprehension, fretting about logistics, allowing — albeit limited — headroom for the ‘I’m not good enough…’ loop, and making pointless comparisons. But mostly positive, mostly excitement. This time next week, it’ll all be over and — along with several hundred other stand-up paddleboarders — I will (I hope!) have navigated the river Dart on a tide-assisted 14k-ish upstream rollercoaster from Dartmouth to Totnes in Devon. There’s a group of us Bray Lake SUP newbies signed up and we’re all of us now very slightly concerned that we were persuaded to go for the competitive Head of the Dart event on 15 April rather than take the ‘leisure’ alternative. But then again, I’ve never been good at pottering along when something’s got a clearly marked start and finish and so it’s in at the deep end. Actually, that’s probably literally in at the deep end as now that the race is getting closer, more details are emerging — particularly around what happens at the start. Now I obviously have considerable experience of start lines as a runner, as well as some experience of the washing machine free-for-all involved at the beginning of a competitive swim, and it sounds like a SUP mass start might involve just a little bit of the latter variety of jostling and brakes-off testosterone. Which means that start line management is required: stay at the side or hang back and lose time but stay upright, or brave out the pushing and shoving and hope that I don’t fall in — or at least not more than once. We shall see. Meanwhile, there’s been the actual distance to fret over and while 14k really isn’t that far, especially with a bit of current, it’s further than I’ve paddled before. Several of my fellow Bray training partners took on the distance at our last-but-one pre-race Sunday session, but I’d pushed it the day before and decided to focus on speedwork and stroke finessing instead. I told myself, and anyone else polite enough to listen, that you don’t run a marathon before racing a marathon and tried not to be unnerved by the others who were doggedly criss-crossing the lake and counting down their kilometres. But even though I still clocked up a respectable — and fastest yet, with the intervals — 9k to take my weekend total to over 20k, the fact remained that no matter how I dressed it up, they now knew what 14k on a paddleboard felt like and I didn’t. And there those untested kilometres sat, niggling away until I gave in. I decided that while I wouldn’t target 14k as such, I would ‘see how far I get in two hours’. So last Thursday afternoon, I set off. However, where my mates had done their two-plus hours on a day with no wind and a mirror-smooth lake, I had a brisk and unrelenting southerly as company, which both churned up the water and sliced a significant chunk off my average speed. But I told myself it could easily be like that on the Dart and I was anyway buying myself a bit of wiggle room. I got to the two-hour mark, saw that I’d managed a slightly disappointing 11.5k, and you can probably guess what happened next. Yup. Couldn’t leave it there, could I? By now a fair way out of my comfort zone, I did that thing I learned aeons ago on long runs when you just completely override the voices in your head screaming at you to stop and doggedly plough on. And in a perverse way that was enormously gratifying: it had been quite a while since I’d been in that very driven, stubborn, space and I guess I was relieved I could still choose — and deliver — that attitude when I needed to. I bagged my 14k prize in 2 hours 26 minutes, and now, with less than a week to go and the distance no longer an unknown, I’m much more confident that what’ll concern me most on race day will be juggling some complex logistics and the inevitable pre-start queue for the loos. 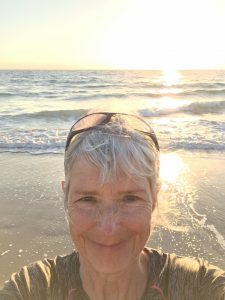 A lovely blog Eugenie, and you have pretty much summed up how a lot of SUP boarders feel prior to a race whether you are a newbie or an experienced paddler. 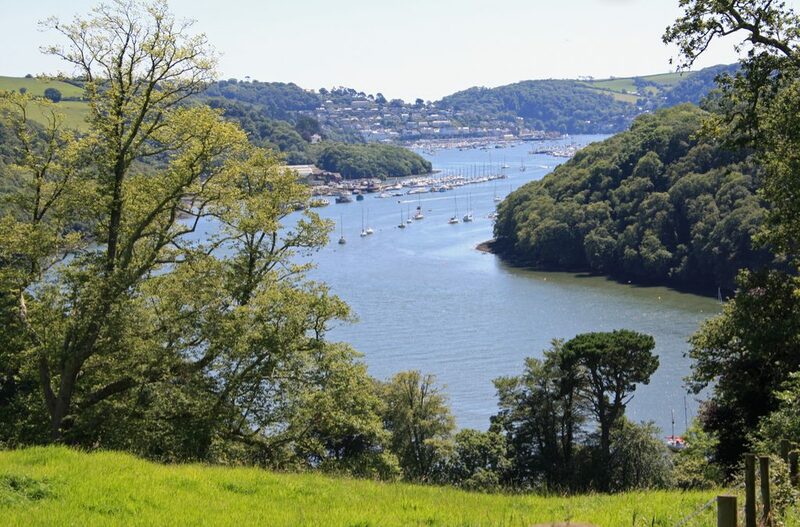 You are a very determined lady Eugenie and all your hard work will pay off, don’t forget to look up and enjoy the views from the beautiful river Dartmouth, it’s pretty amazing! See you Sunday! Thanks so much, Andrea — and see you there! Thank you, Sam — watch this space!